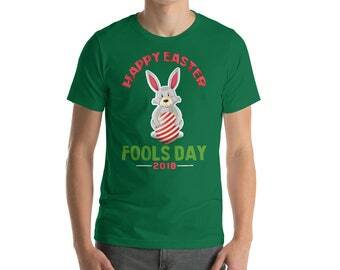 Happy Easter Fools' Day! The most important coincidence this year is Passover and Easter, the true religious festival connection between Christianity and Judaism. This is also April Fools Day , which is actually a morning for pranks and foolishness foisted on the gullible and hapless. I've never been much of a prankster myself, although I've had my moments. During my decades of pastoral ministry I regularly felt the fool on Easter morning, or at least that the joke was on me when it came to doing justice to the cosmic mystery of the resurrection of Jesus. Today the Jewish peasant whose interpretation of the reign of God constantly moved in strange and wonderful directions, counter to the religious conventions of his time, is revealed as the Risen Christ, The Divine Joke is on us. During my ministry I was fortunate to serve some congregations where magnificent pipe organs and hired brass and timpani transformed the Easter hymns into celestial music. One Easter in Halifax we estimated 700 congregants and the choir, which was augmented by Dalhousie music students, led us in glorious praise. On a number of occasions we included drama in our Easter worship and dramatic removal of black Good Friday draping on the cross to be replaced with white. And of course there have been flowers, traditional lilies giving way to fresher arrangements over time. All this was splendid, but so often I felt that this was a pale approximation of the true, startling wonder of Easter morning. I have remained steadfastly convinced that the tomb was empty that morning, that Jesus the sage and healer and agent of change was more than these. I figure I preached some effective, even stirring Easter messages through the decades but I don't recall ever feeling that what I said got close to what the day means for us as Resurrection people. In that respect I was always what I hoped was a faithful fool, willing to make the attempt again each year, hoping that folk got at least a glimpse of the Christ who wipes away our tears of sadness and despair and renews our joy. Well, off to church. Today I'll be a fool in a pew rather than a fool in a pulpit. Jesus Christ is risen today. Hallelujah!